Today’s brides have plenty of options for what to do with their wedding gown post-“I do.” Some donate or sell their gown, others re-purpose their wedding dress into lingerie or cocktail attire, and others “trash it” with a wet n’ wild photo shoot. Many brides, however, want to hang on to that dress that represents so much love, happiness and celebration. That’s why wedding dress preservation is so important. A wedding dress is usually intricately designed and extremely delicate, and can’t be cleaned like any old dress. Wedding dress cleaning and preservation is key to making sure your dress lasts a lifetime. Here are some things you need to know about wedding dress preservation. Unlike one-size-fits-all dry-cleaning, wedding gown preservation begins with an experienced specialist’s assessment. The specialist creates a unique treatment plan according to your dress’s fabric, stitching and details, and analyzes stains along them hem (which are essentially unavoidable on a ground-grazing ensemble like a wedding gown) and entire dress. Whatever the specialist comes up with will give the dress new life without harming the delicate fabric. Professional cleaners and preservationists are trained to spot the unseen, of course. They’ll be able to deal with any stains on your wedding gown, from the invisible to the visible. Did the hem get dirty from your picture-perfect shots in a garden? Did someone slosh red wine on it? Did an overzealous aunt smudge her foundation on it when she came in for a hug? They’ll create a treatment plan for each stain. This is one label you don’t want to ignore. Look for any specific dry cleaning directions it might have, such as “Dry Clean Only with Petroleum Solvent.” Whatever it says, listen to it, and make sure the preservationist or dry cleaner you choose has the appropriate cleaning solutions for your wedding dress. Professional cleaning is the first step in wedding dress preservation, and the sooner you can get the wedding dress to the preservationist or the dry cleaners, the better. Brides often wait up to six weeks to take their dresses to be cleaned, and that’s no good! By that time, stains will have had time to really set it. Take your dress off as soon as the reception is over and make sure it gets to the dry cleaner the very next day. If you’re jetting off on a honeymoon, arrange for a bridesmaid or your mother to take it for you! A preserved dress is typically stored in an airtight box where the oxygen has been sucked out and replaced with nitrogen. This prevents oxidation (aging, discoloration, etc. ), which can happen to clothes that have been stored for several years. Wedding gown specialists recommend that you never break the seal, and if you do, that you should have it preserved and sealed back up again. If you do, however, take it out for some reason, make sure to handle the gown with white cotton gloves and care. Include wedding dress preservation in your wedding budget. Considering the average wedding preservation kit costs $250 to $750, it’s a significant expense! Once the wedding dress has been properly cleaned, it’s time to store it. Protect your dress from direct sunlight, which can quickly fade and turn the dress yellow. Take it off the hanger, which can cause the heaviest dresses to become misshapen. Whatever you do, [avoid storing your dress in a regular, zip up-plastic bag! Plastic like that holds moisture and can potentially discolor a wedding dress. The exception to this is acid-free plastic, which wedding preservation boxes are made from. Go with a professional wedding preservation box, or better yet, a wedding chest. Like your dress, the shoes you walked down the aisle in and the bouquet you held also hold a lot of meaning. You can preserve both of these alongside your gown, well. To preserve your wedding shoes by giving them a good cleaning. For cloth shoes, use a gentle cloth and sponge and lightly scrub your shoes with a mild detergent. For leather shoes, give them a polish. If you really did a number on your shoes, you can take them to a dry cleaner. After your shoes are clean, wrap them in white tissue and place them in box. Depending on the type of material your shoes are, you may be able to include them with your dress in the preservation box. Talk to your preservationist about whether this is possible. For bridal bouquets, you can press, hang, coat the flowers in wax, or use epoxy resin to preserve the blooms. 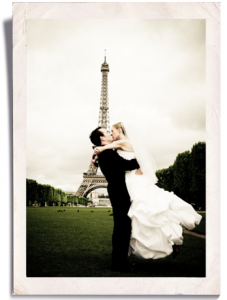 Preserving your most romantic memories since 1903! We have a wedding gown preservation process unlike any other. When dropping your gown off, our gown coordinator will be in contact with you to discuss your gown and the entire cleaning process. Contact Paris Cleaners for more details.